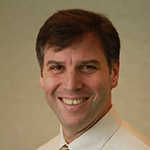 Gregg Solomon began working as a physical therapist at Maimonides Medical Center in 1988 where he developed his skills in many areas of physical therapy. After working in all the rotations in that hospital, including over a year in the orthopedic department, he worked for various clinics of private practice in Queens (as staff physical therapist), Long Island and Manhattan (both as physical therapist and office manager), gaining valuable experience in orthopedics, sports medicine, pediatric, geriatric, home care physical therapy and office management. He has been in business since 2000 when he and his partner, Lior Cohen, founded Metro Physical Therapy and Sports Medicine, LLP. Here, they provide the highest level of individualized, one-on-one care in a unique private setting. Gregg received his Bachelor of Science in Physical Therapy from New York University and his doctorate in Physical Therapy from Arcadia University. Lior Cohen has been a partner in Metro Physical Therapy since 2000. 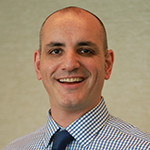 Lior is a co-author of “Randomized Controlled Trial of Calcaneal Taping, Sham Taping, and Plantar Fascia Stretching for the Short-Term Management of Plantar Heel Pain” which appeared in the Journal of Orthopedic and Sports Physical Therapy. Lior has been featured in several publications, including the Health Section of the New York Times focusing on the importance of core strengthening. In his practice, he has had extensive experience working with both adult and pediatric orthopedic and sports injuries. Lior graduated from Mercy College with a B.S. in Health Science and an M.S. in Physical Therapy. He is currently in the process of completing his Doctorate from Arcadia University. Lior is a member of the APTA, Orthopedics and Sports section as well as a volunteer for the NYC Office of Emergency Management. Ray Lopez is board certified by New York State in Physical Therapy. He graduated from New York University with a Bachelor of Science Degree and received a dual Bachelor of Science / Master’s Degree in Physical Therapy from Mercy College in Dobbs Ferry, NY. Dr. Lopez completed his training at Simmons College in Boston, MA, receiving a doctorate degree in Physical Therapy. Dr. Lopez maintains a strong interest in sports and orthopedics for all adults and teens, with particular interests in sports rehab and balance training for the geriatric population. He lives in East Harlem with his wife, Karen and dog, Pumpkin. Mondito LaRoche is originally from Haiti. He began his career interest in therapeutic rehabilitation while working with developmentally and physically challenged children. He completed his studies toward his degree of Physical Therapist Assistant and graduated from Laguardia Community College in New York. His areas of expertise are in Deep Tissue/Sports Massage, Manual Skills, Balance Re-education, and Gait Analysis. While in school acquiring his license, he was afforded the opportunity to demonstrate his skills during an internship at Metro Physical Therapy. He so impressed both the staff and patients that before his internship ended, he was offered a position upon his graduation and completing his licensing. 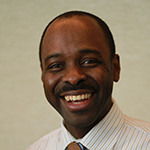 He has enjoyed a long career with Metro Physical Therapy and continues his work in the treatment and rehabilitation of a wide variety of injuries and conditions. 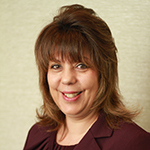 Lital Arad is a Certified Lymphedema Therapist with over 7 years of experience in physical therapy. 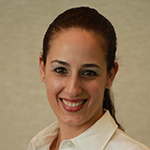 Lital earned her Bachelor of Science in Physical Therapy from Tel Aviv University. Lital began her career in the United States as a Staff Physical Therapist in the acute care and rehabilitation units at St. Luke’s-Roosevelt Hospital in New York City. In 2010 Lital was granted a certification in Lymphedema Therapy from the Norton School, and was instrumental in establishing the outpatient lymphedema program at St. Luke’s Hospital. Today she serves as the primary Physical Therapist, administrating treatments for patients suffering from Lymphedema (primarily of the upper extremities) at the hospital. At Metro Physical Therapy and Sport Rehabilitation, she administers treatments for patients suffering from Lymphedema and other medical conditions at the clinic and as home care. 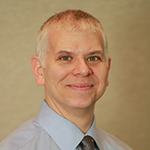 Lital holds a Doctorate of Physical Therapy from Stony Brook University.